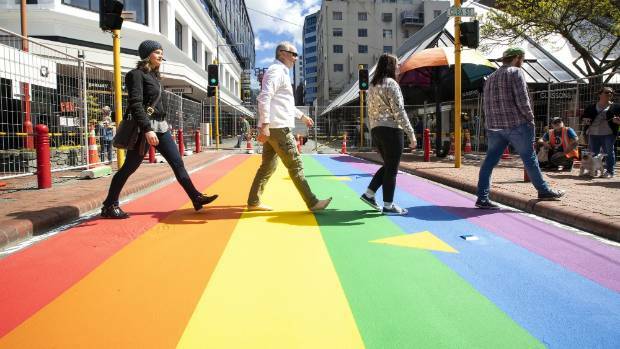 When was the last time you got to experience Wellington streets truly open to the people? Graduation parade? Cuba Dupa? Thorndon Fair? THIS SUNDAY we’ve got a one-off chance to experience the magic of moving about our glorious city without the metal boxes that are normally king of the kerbs. 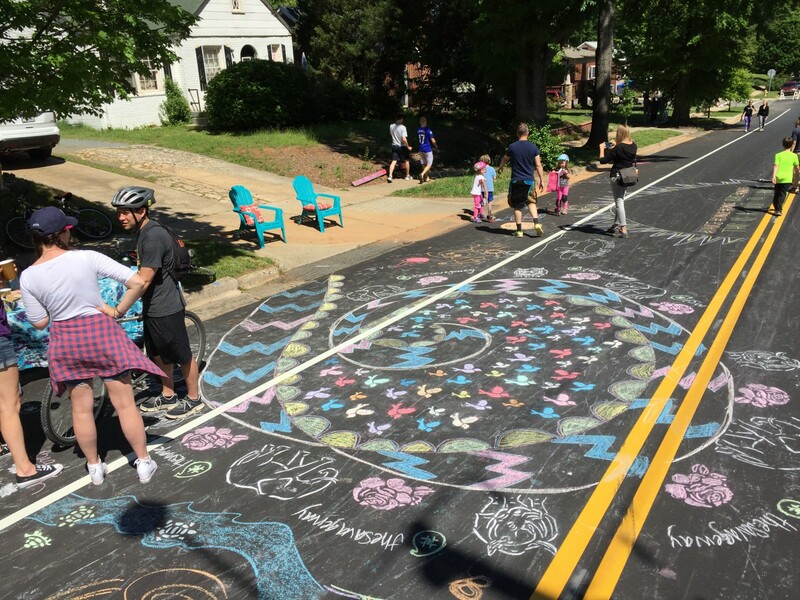 Open Streets in Wellington will mean us humans – generally considered second-class citizens in this, the age of the machine – will be able to walk, bike, skate, and play with abandon! Certain streets will be closed to vehicles from 6am-3pm with parking restrictions starting the night before. NO CARS! NO BUSES! Community groups will be running activities for everyone to take part in – there are eight main hubs but there’ll be plenty to discover along the 1.4km route. Jeff Speck’s General Theory of Walkability states that a journey on foot should satisfy four main conditions: be useful, safe, comfortable and interesting. Having a third space means we’re winning at life. People hang out together, form communities, and, best of all, they’re free. Hong Kong and China are amazing at third spaces. NZ? Less so. A borough in London introduced a “Mini Holland” cycling scheme for children in 2013. Earlier this year researchers declared that those children involved in the scheme would live longer. And we’ve got those glorious Onzo bikes helping us do the same. 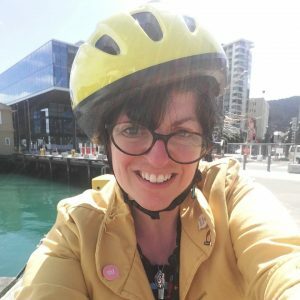 But Wellington is still a scary place for cyclists, as our project manager discovered. There’s also the benefits of active transport, fresh air, healthier spaces, and better use of urban shared spaces. 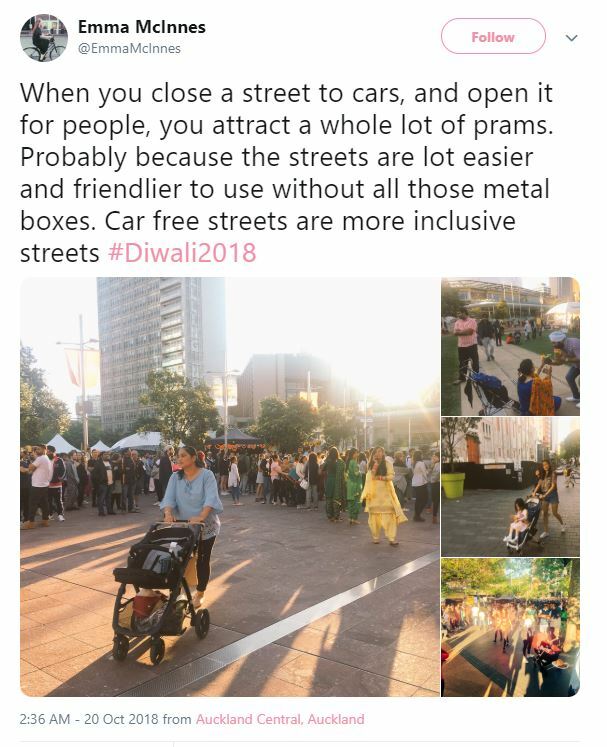 An Auckland street was closed off to celebrate Diwali earlier this month. The result? 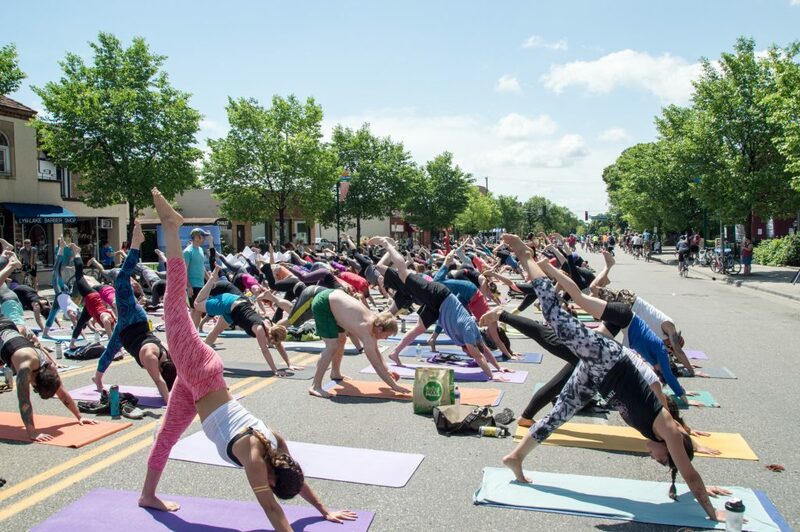 Here’s a couple of examples of other Open Street days around the world. We’re so used to cars we’re conditioned by them. Carcentrism is suppressing our quality of life. Let’s Get Wellington Moving knows that our transport system is affecting liveability and is working to provide an answer. Oh how we hope that it reduces the reliance on private vehicle travel as it promises… It’s our right to have healthy streets (we’ve discussed it before); perhaps we need to make some of them completely car free forever. If we made the streets for the people rather than the boxes transporting them, wouldn’t we all feel more alive, more human? How awesome would our city spaces be without cars at all? Are you going to head to Open Streets in Wellington? Check out the full day’s events here: http://www.bikethere.org.nz/te-ara…/what-is-an-activity-hub/ What are you excited about? Would you like to see this as a regular event?